By purposefully pulling at the emotions of his listeners, by tapping their hearts with music sublimely orchestrated, musician Brain Fallon knows he's doing something right. The Gaslight Anthem frontman, is a poet, first and foremost, he's also a man who keeps his heart on his sleeve proudly. His words are beautiful but somber, they're original and fundamental to the progression of his wholesome contributions. The man is a God amongst his band's faithful. The Gaslight Anthem may be on a hiatus or even defunct, but the flock are still absorbing everything Fallon does musically. He's respected and his muse is never-ending, his compassion and passion endless. It may only be solo missions that Brian Fallon is embarking on nowadays, but his talent is still rooted, his admirable heart still beating to the sound of a million guitars. As a solo musician, Fallon excels, pushing his talent to colossal heights, using his voice as a string for people to hang onto. They go by his every word. Yes the sadness rubs off, the words resonate, and they burn brightly over a base of darkness. But, we expect gut-wrenching poetry, we expect stories of hardship and despair. 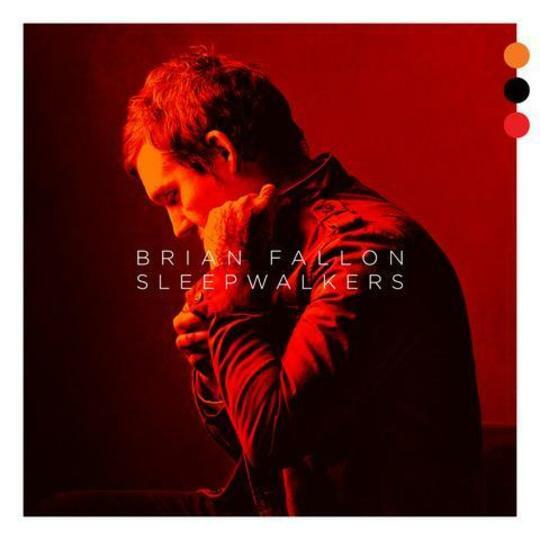 Fallon sings about pain and misfortune, shattered love, bulldozed intentions, on his new LP Sleepwalkers. The record is a collection of songs which are masterful in their delivery, but are also Fallon's most darkened notes. He describes pain as a vessel leading to destruction, he conveys love as a broken crutch. Dreams are also explored, explosive nightmares a constant trait. But, Fallon is a master at creating tracks which point precisely at his brutalized mind. He isn't doomed for evermore, but he is a man clinging to his integrity and morals. Sleepwalkers is filled with many poignant heart-pullers. Forget Me Not is wonderful, guitar driven track. Fallon describes playing melancholic songs which may make the world feel better. He truly striving for peace here. Proof Of Life is a subtle note to a girl Fallon seems to adore. His words are wasting away, he's trapped by a demon, and he's contemplating ending it all. The little acoustic melody behind these heavy poetic strands is majestic. See You On The Other-Side showcases Fallon's sharp vocals and brilliant wordplay. He sings about a disenchanted lover, he bellows about the inevitability of death. Sleepwalkers is a revelation. It bursts with emotion, it tells us fables of heartache and the real life. Bio Mark McConville is a freelance music journalist from Scotland. His work has appeared online and in print. He also dabbles in flash fiction, short stories, and poetry. His flash fiction has appeared on Out Of The Gutter Online.